Speech therapy is a rehabilitative therapy that assists individuals with speech, language, hearing, cognitive and swallowing disorders. Andrea graduated from the University of South Dakota with a Master of Arts degree in Speech-Language Pathology/Communications Disorders. 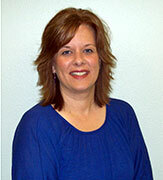 Andrea is a member of the American Speech-Hearing Association and the South Dakota Speech-Language-Hearing Association. Her background experience includes: instructor/supervisor and Program Director of the Communication Disorder’s Department at Northern State University in Aberdeen, S.D. ; Speech/Language Pathologist in school and skilled nursing facility settings. Andrea is certified in Lee Silverman Voice Treatment (LSVT) a treatment program for those with Neurological disorders, with a specialty in Parkinson Disease. Copyright © 2017 Jenkins Living Center. All Rights Reserved.